The information provided below is presented for informational purposes only. If you have specific questions concerning real estate you should consult an attorney. 1. What kind of advice can I get from the Registry of Deeds about preparing documents or the status of my title? The Barnstable Registry of Deeds in an “office of record.” That means we accept documents for recording that meet the minimal legal requirements for recording as set out in the Massachusetts General Laws, the rules of the Land Court (for registered land documents) and the rules of the Barnstable Registry, all as interpreted by the Register of Deeds. Documents are placed on “record” at the appropriate Registry of Deeds in order to be valid against and give notice to any persons who have an interest in the property affected by the document. Recording a document at the appropriate Registry of Deeds puts the “world on notice” of that document.Essentially, a Registry of Deeds is a “library” of recordings. The person presenting the document for recording assumes the status of author and the Registry Staff are the librarians who catalog it and put it on the shelf. Just as with a library, the Registry does not act as an editor or “ghost-writer” for the “author.”With that preamble, the answer to the question posed above is as follows: Aside from examining a document to see if it meets the minimal legal requirements for recording, the Registry Staff is prohibited by law from giving “legal advice” concerning the document. The prohibition against giving “legal advice” includes a prohibition against advising or offering opinions on matters such as:1. How to prepare a document; 2. Whether a “recordable document is otherwise legally correct, or if it will “do” what the “author” is hoping it will do; 3. The order documents should be placed on record; 4. Whether an individual has “good” or “clear” title; 5. Whether a mortgage or lien has been effectively discharged; and 6. Whether an individual should or should not record an otherwise legally recordable document;Our advice to anyone who has any of the above questions or issues is to consult with an attorney. Documents that are accepted for recording at a Registry become permanent public records and are not alterable once they are accepted for recording. The likelihood that the document you are recording will affect your most valuable asset, your home, should give you pause before recording anything you have not previously run past your attorney.We want to help you in any way we legally can in your dealings with the Barnstable Registry of Deeds, so please do not hesitate to ask us questions if you have any. Please understand, however, that if your question calls on us to give you “legal advice,” as we define the term, we may not be able to be as much help to you as you may hope or expect. Thank you. 2. How do I obtain a copy of my deed? You may obtain a copy of your deed by either 1) coming to the Registry, 2) sending in a mail request, or, 3) using our credit card charge CAPEVIEW internet based option. To obtain a copy of your deed via mail please send $3.00 and a self-addressed stamped envelope together with the book and page reference or document number reference of the deed you are looking for to P.O. Box 368, Barnstable, MA 02630. If you do not know the title reference, please list the owners name, street address and town where the property is located. Do not forget to note your return address on your request. All requests for copies must be prepaid. Please note: All copy orders must be accompanied with a self-addressed stamped envelope with sufficient postage to handle your request. Any order without sufficient postage will not be processed. To obtain a copy of your deed or other document via the web please click on the CAPEVIEW link and follow the instructions for credit card printing. Please be advised that the Registry of Deeds cannot do a title search for you. If you are looking to research a title or need copies of more than just your deed and you are unsure of how to search a title you can contact an independent title examiner. There are many people who make their living doing title examinations who are at the Registry every day. A list of individuals and firms that provide title examination services can be found by clicking on the Title Examiners link. 3. What do I need after I have paid off my mortgage? Congratulations! You have paid off your mortgage. In order to clear your property title of the mortgage you need to record the discharge of mortgage document you received from the bank with the Registry of Deeds.After paying off your mortgage you should have received a one or two-page document from the mortgagee (bank) entitled “Discharge of Mortgage” or “Satisfaction of Mortgage.” That discharge document needs to be recorded with the Registry of Deeds in order to clear your title of the mortgage. We cannot accept a copy of the discharge; we must have the original. You can mail in the discharge or come in person to record the document. Our mailing address is Barnstable County Registry of Deeds, P.O. Box 368, Barnstable, MA 02630. There will be a recording fee to file the discharge.If your discharge refers to a book and page number (recorded land) the recording fee will be $75.00. Any Recorded Land instrument sent for recording via mail or express service must include a self-addressed stamped envelope (SASE) in order to have the instrument returned. An Instrument without an appropriate SASE will be discarded within five business days of recording. Also, if the discharge does not already refer to the street address of the property being discharged you should write the street address and the town in the left-hand margin of the discharge.If your discharge refers to a six-digit document number (registered land) the recording fee will be $75.00. We keep the original document as a permanent record so if you want a copy of the registered document, you should include an additional $1.00 per page and self addressed stamped return envelope. Also, if the discharge does not already refer to the street address of the property being discharged you should write the street address and the town in the left-hand margin of the discharge. Please note that if your mortgage was noted on more than one certificate of title the fee will be $75.00 for each certificate. 4. How do I change title registered land? If you own property and you want to transfer ownership to someone else or if you want to retain an ownership interest and grant a part ownership to someone else you need to do that by preparing and executing a new deed. You cannot do this through a phone call to us or by a letter or by crossing out and/or adding names to your old deed.  We at the Barnstable County Land Court cannot prepare the deed for you, we do not have deed forms, nor can we advise you as to whether the deed you present to us will have the effect of doing what you tell us you want it to do.All we can do is to examine the deed to determine if it meets the legal requirements for registration. If a deed meets the basic legal requirements for registration and the proper fee is presented a deed will be accepted for registration. Please be advised that once a deed is accepted for registration it cannot be removed from the public record. We urge you to seek the advice of an attorney before registering a deed because the consequences of a mistake can be significant.Under Massachusetts law a deed conveying registered land (land court land), in order to be accepted for registration, must include the following: (See M.G.L. Ch. 185 Sec. 61, 61A and M.G.L. Ch.183 Sec. 6 and 29).The name(s) of the grantor(s).The name(s) of the grantee(s).The residence and post office address of at least one grantee.A recital of the amount of the full consideration in dollars or the nature of the other consideration therefor, if not delivered for a specific monetary sum. Full consideration shall mean the total price for the conveyance without deduction for any liens or encumbrances assumed by the grantee or remaining thereon.Acceptable examples of statements of consideration if not for a specific dollar amount are: Nominal non-monetary; Less than $100.00; Love and affection; Estate planning; Dissolution of a business or marriage; No consideration.Unacceptable examples of statements of consideration if not for a specific dollar amount are: No monetary consideration; Good and valuable consideration; Such that no documentary stamps are required; For consideration paid.A property description that states the lot number, the Land Court Plan the lot is shown on and the grantor’s certificate of title number.The street address of the property, where applicable. Time-share deeds do not need a street address noted.Signatures of all of the grantors. At least one signature must be acknowledged (notarized).See the recording fee section of this web site for information on fees and calculating excise taxes.REMEMBER: A DEED IS A LEGAL DOCUMENT, CONSULT AN ATTORNEY BEFORE RECORDING A DEED. 5. How do I change title to recorded land? If you own property and you want to transfer ownership to someone else or if you want to retain an ownership interest and grant a part ownership to someone else you need to do that by preparing and executing a new deed. You cannot do this through a phone call to us or by a letter or by crossing out and/or adding names to your old deed. 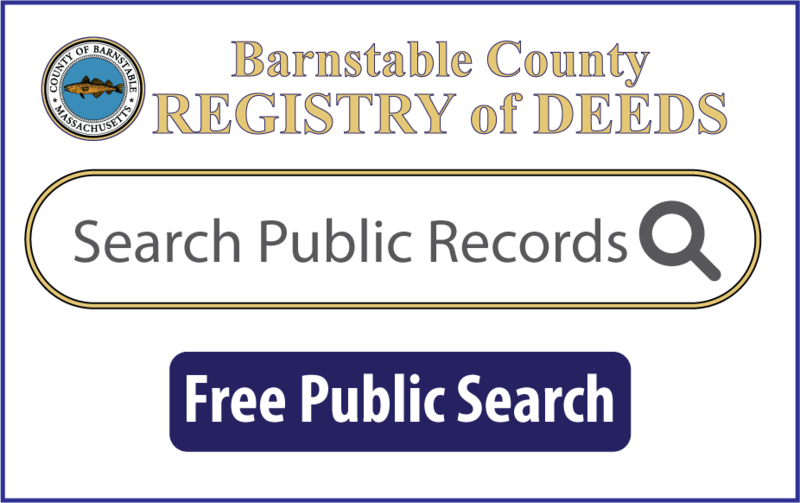 We at the Barnstable County Registry of Deeds cannot prepare the deed for you, we do not have deed forms, nor can we advise you as to whether the deed you present to us will have the effect of doing what you tell us you want it to do.All we can do is to examine the deed to determine if it meets the legal requirements for recording. If a deed meets the basic legal requirements for recording and the proper fee is presented a deed will be accepted for recording. Please be advised that once a deed is accepted for recording it cannot be removed from the public record. We urge you to seek the advice of an attorney before recording a deed because the consequences of a mistake can be significant.Under Massachusetts law a deed conveying recorded land, in order to be accepted for recording, must include the following: (See M.G.L. Ch. 183 Sec. 6, 6A, 6B and 29).The name(s) of the grantor(s).The name(s) of the grantee(s).The residence and post office address of at least one grantee.A recital of the amount of the full consideration in dollars or the nature of the other consideration therefor, if not delivered for a specific monetary sum. Full consideration shall mean the total price for the conveyance without deduction for any liens or encumbrances assumed by the grantee or remaining thereon.Acceptable examples of statements of consideration if not for a specific dollar amount are: Nominal non-monetary; Less than $100.00; Love and affection; Estate planning; Dissolution of a business or marriage; No consideration.Unacceptable examples of statements of consideration if not for a specific dollar amount are: No monetary consideration; Good and valuable consideration; Such that no documentary stamps are required; For consideration paid. * A property description that (a) indicates that the land conveyed is the same as described in or conveyed by prior recorded instruments identified sufficiently to locate the place of recording within the registry, or states the instrument does not create any new boundaries, or (b) the instrument identifies the land conveyed either by reference to a plan or plans previously recorded in the registry of deeds and identified sufficiently to locate the place of recording therein, or by reference to a plan or plans recorded with the conveyance. * The street address of the property, where applicable. Time-share deeds do not need a street address noted. * Signatures of all of the grantors. At least one signature must be acknowledged (notarized).See the recording fee section of this web site for information on fees and calculating excise taxes.REMEMBER: A DEED IS A LEGAL DOCUMENT, CONSULT AN ATTORNEY BEFORE RECORDING A DEED. 6. How much does it cost to record a document at the Registry of Deeds? The cost of recording a document depends on the document type and whether it is to be recorded in the Recorded Land Section or the Registered Land Section. For a detailed listing check out our recording fee page. 7. What is the difference between recorded land and registered land? Recorded land is the most common form of land recording in Massachusetts. In Barnstable County it represents about 73% of all recordings. You know you are dealing with Recorded Land if there is a reference to a Book and Page number in the document description or there is a reference to a Book and Page Plan number. Dealings with Recorded land are based on the concept of caveat emptor, let the buyer beware. Registry personnel accept or reject a document for recording on the basis of whether it meets the minimum requirements for recording and not whether the document(s) properly relate to a particular property. For example: A deed from John Doe to Jane Doe for the Bourne Bridge would be accepted for recording if John Doe’s signature was notarized and the deed otherwise met the minimum requirements for recording (see FAQ #4 “Requirements for a Deed”). It would not be the Registry’s responsibility to inform Jane Doe that John Doe does not own the Bourne Bridge. It would be up to Jane Doe to check the property history of the Bourne Bridge to determine who is the legal owner is and from whom she should be getting a deed if she were to buy the property. The recording of the “Doe deed” would not give Jane Doe title to the Bourne Bridge because John Doe never owned it in the first place. The recording of a deed or other instruments in the Recorded land section of the Registry does not guaranty that the real estate is free from all liens, encumbrances and other legal problems that would cloud the ownership of the property. It is generally necessary to have a title search done by a qualified attorney or title examiner to determine the status of a Recorded land title/property.Registered land is a more complex form of land ownership. Land that has gone through a Land Court Registration and Decree process is termed Registered land. You know you are dealing with Registered land if there is a reference to a document number or certificate of title number in the property description. The “Land Court” or “Registry District” is a separate unit from the regular or “recorded land” section of the Registry of Deeds. It is an adjunct of the Land Court, which has its main office in Boston. The land Court is a Department of the Trial Court and has exclusive jurisdiction over Registered Land. Generally, Registered land is land that at some point in time had been the subject of an ownership or boundary dispute. After the Land Court renders a decision as to the ownership and boundary lines of real property, those issues can never again be disputed as to that property. All subsequent documents effecting that property have to be registered with the appropriate registry district. A Certificate of Title is issued for each new owner of Registered land. The Certificate of Title lists all of the liens, mortgages, encumbrances and rights that go with the property. Registry districts will not accept documents for registration unless they meet the strict requirements set out by the Land Court. As with recorded land, it is generally necessary to have a title search done by a qualified attorney or title examiner to determine the status of a Registered title/property. 8. My spouse died, how do I take his/her name off the deed? You don’t literally take the name off the deed. Most married couples who own real estate hold title as “husband and wife, tenants by the entirety.” This type of ownership has a right of survivorship. When one spouse dies, the interest that spouse had in the property is legally extinguished leaving the surviving spouse as the sole owner of the property. A new deed is not prepared or issued, rather the surviving spouse should record a certified copy of the death certificate for the deceased spouse noting in the left hand margin of the death certificate the street address/town and title reference of the property owned by the decedent. That recorded death certificate will be forwarded to the town assessors office and the property tax records and bills will be changed accordingly. The surviving spouse’s title will still be the original deed by which the spouses became owners of the property. That deed together with the recorded death certificate would show that the surviving spouse is the sole owner of the property. It may also be necessary to record an estate tax lien release for the deceased spouse (click on this link for more information about estate tax liens). 9. I inherited property, do I get a deed from the Registry of Deeds? One does not necessarily receive a deed when a property is inherited. Property can be inherited either as a result of a devise in a Will of the deceased property owner or, in the absence of a Will, via intestacy. In either case it is possible, if not probable, that no “deed” will be recorded with the Registry of Deeds to reflect the inheritance. Rather, the person(s) who inherited the property will have title to the property through a Massachusetts Probate Court and the Probate Court Docket Number of the Estate will be the identifying reference for the title. A title acquired in this manner is just as legitimate and acceptable as a title acquired by a deed recorded in the Registry of Deeds.If the heir(s) wish(es) to subsequently sell or mortgage the property then the title reference on the deed or mortgage prepared for that transaction will likely read something like this: “For grantor’s title see the Estate of______________,_______________Probate(name of decedent) (name of county)Court Docket Number ____________. The title reference of the deed into the decedent will also likely be noted.If the property involved is Land Court a/k/a Registered Land then a formal petition to the Land Court in Boston is also required before the heir(s) can do anything with the property.In any case, when you inherit property the Registry of Deeds is not the party that issues a “deed” or is responsible for “clearing your title”. Asking Registry personnel what to do in order to get a “deed” in this type of situation is asking us for legal advice and we cannot give legal advice. If you have questions about real estate issues related to inheritance you should consult an attorney. 10. I own property with a friend, who just died. Who owns it now? It depends. Look at the deed by which you became owners of the property. Right after your name and the name of the deceased co-owner it should say either “as joint tenants” or “as tenants in common”.Joint tenants means there is a right of survivorship so when one tenant dies the survivor automatically becomes the sole owner of the property. A new deed is not prepared or issued, rather the surviving tenant should record a certified copy of the death certificate for the deceased tenant noting in the left hand margin of the death certificate the street address/town and title reference of the property owned by the decedent. That recorded death certificate will be forwarded to the town assessors office and the property tax records and bills will be changed accordingly. The surviving tenant’s title will still be the original deed by which you and your friend became owners of the property. That deed together with the recorded death certificate would show that the surviving tenant is the sole owner of the property. It may also be necessary to record an estate tax lien release for the deceased spouse (click on this link for more information about estate tax liens).”Tenants in common” means the interest of the decedent passes to his/her estate and not automatically to the surviving tenant. In the case where two persons own a property as tenants in common and one dies, the survivor has a one-half interest in the property and the heirs at law of the decedent (determined by probate) own the other one-half interest. 11. I can't find my deed. Is that a problem? It shouldn’t be an issue as you do not need to present the original deed to sell or mortgage your property. Also, a certified copy of your deed obtained from the Registry of Deeds has the same effect as the original. 12. What is a declaration of homestead? We have a separate link devoted to Homestead issues. Please click here. 13. What is a life estate? A “life estate” is a type of property tenancy that lasts for the life of the named life tenant. For example, the grantee clause of a deed may read “to B__ during his life and then to C__”. This would give “B__” ownership of the property during his lifetime and upon his death the property would go to “C__”. “B__” could sell his interest in the property to “D__” but “D__” would only own the property for as long as “B__” lives. 14. Someone put a lien on my property. How do I remove it? A document that is recorded at the Registry of Deeds is never removed from the official records. Instead, another document that discharges or releases the first one is recorded. The two taken together show that the lien is no longer in effect. Generally, the party that issued the lien must issue a release of the lien which would then be recorded at the Registry of Deeds. 15. Someone owes me money, how do I put a lien on his property? Generally, the only way to put a “lien” on a property is to file a lawsuit and get a Writ of Attachment or an Execution issued by a Court, which you would have recorded at the Registry of Deeds by the Sheriff’s Office.If the money is owed to you as payment for goods and services performed on a building or real estate, you may be able to create a “mechanic’s lien”. The procedure for doing this is set out in Massachusetts General Laws Chapter 254. The “mechanics lien” law has some strict procedural deadlines, so read it carefully. Registry personnel cannot help you with this so you are advised to seek the help of an attorney. 16. Where do I get a copy of my plot plan? A “plot plan” shows the footprint of a building on a lot of land. It is generally required by the bank or mortgage company when you are buying and/or mortgaging a house to certify that the building meets all zoning requirements regarding setbacks, etc. Plot plans are not recorded with the Registry of Deeds. Plans that are recorded at the Registry of Deeds are usually “subdivision plans” that show how a large parcel of land is divided into lots. Subdivision plans only show the boundaries of a lot and not the buildings on the lot. 17. Are the rules different for recording timeshare documents than for other property documents? No. Timeshare interests are considered real property interests in Massachusetts and are subject to the same recording fees and rules as any other real property interest in Massachusetts. The answers to the questions above generally apply to timeshares as well as to non-timeshare property. 18. How are names indexed in the computer?